Packed Full Of Helpful Information, Facts, And Resources! If you’re a new parent of a child diagnosed with Down syndrome (including prenatally) you probably have a lot of questions. Before we get to those, let me first offer you a huge congratulations! I hope you’ve taken time to rejoice in your new addition. If you are anything like I was when our son was born you are probably going “google crazy” trying to find some information to help you understand what Down syndrome is all about. You probably have a list of questions that’s growing every day. Questions like: possible medical concerns, blood tests, labs, acronyms, speech, eating, things you should ask your pediatrician, schools, day care, and a host of other things. It’s easy to become overwhelmed with the sheer amount of information available for online. There is no way to verify the accuracy of most of the information that is available online. Please step away from the keyboard.....you've found what you've been looking for! The New Parent’s Guide To Down Syndrome will be done as a series on this site. Below you will find a list of the topics, and the order they will be posted. This list will grow as new topics are added. Please be sure to contact us if there is a topic you think would be helpful to include in this new parent guide. We hope you will share this on Facebook, send it to your friends, and most of al we hope you find it useful. We value your feedback, so please be sure to leave a comment below to let us know what you liked about this new parent guide, what you didn’t like, and how we can make it better! We are honored to be on this exciting journey with you, and look forward to helping and encouraging you any way we can! Top Four Medical Concerns For A Baby Born With Down Syndrome. Three Challenges I Faced As A New Mommy Of A Child Born With Down Syndrome During The Frist Month. How To Choose The Best Pediatrician For Your Child Born With Down Syndrome. Four Areas You Will Need To Have Organized, And How To do It. Be sure to visit our connection page so you can stay connected to all of the exciting things we are doing! We are very excited about making this New Parent’s guide to Down Syndrome available, and hope you are to! I am so thrilled that your wife is putting together this guide for new parents. What a gift you’re giving such a special group of parents. Noah is getting so strong and he is really progressing like the champ he is. This is going to be an invaluable resource to parents, family and friends of new borns who have Down Syndrome. I really am in awe of how God is giving you all a crown of beauty instead of ashes, the oil of joy instead of mourning, and a garment of praise instead of a spirit of despair. I love my daily dose of Noah – it’s exciting to see him rock your world each and every day. And with the time difference between you and me in Australia, my daily dose of cuteness is in my inbox every morning when I get up! It’s a great way to start my day. Hi again. I love the new parent’s guide to Down syndrome! There is so much information out there it is hard to keep it straight. Thanks! Our goal is to publish at least one new article in that series per week. My wife has really done a fantastic job writing them. Feel free to pass the information along, or link to on your blog. We would appreciate it. Thanks so much for your comment. My wife (a pediatrician) and I have read some of the information by Dr. Costa. It sounds like he is working on helping children born with Down syndrome reach their full potential…and we’re all for that. Where we draw the line is when people try to play “god.” Trying to “cure illnesses” that aren’t really illnesses….if that makes sense. To be honest some of the best advice we received when Noah was born was to skip all of those sappy books on just work on helping Noah become who God created him to be..and that’s what we’ve been doing every since. We bought all of the developmental books on this link http://sweltering-berry.flywheelsites.com/top-resources/ and got after it. I did read the first little bit of Roadmap to Holland, but the main characters story is so much different then our story, so that changes everything. I don’t think that is a good book for new and expecting parents. The lady in the book had so much to deal with, and it can be a little overwhelming for new parents to consume. Especially since every family is unique, and one’s families story will be different than another’s. I just like to encourage parents to spend less time reading books about other families, and instead start thinking about how to move their family forward; helping their children to become all they were created to be. Hi I should have clarified what that read was about!! just a short poem. Not a sappy book. I agree I do not have time for sappy books exactly why I do not read them either(& why I am not on facebook) my spouse and I took charge and I agree with your outlook and not trying ‘to cure’. We just hope to give Luke the very best & to increase his independence we can tell how proud he feels when he is learning something new or doing it by himself! When I read your blog I was touched because it was all the feelings we had as new parents but just never blogged about it. I find your website very informative & inspiring to new parents. I am working to increase awareness within our community in Madison as a board member & first & foremost a parent! I want to help other families out in difficult times within our country. We need to bridge together more than ever. =) Grace be to God and we are abundantly blessed with our Luker Duker I can not wait to show you pictures! I will be sure to check out all of your references that you have found. This is why our families born into a blessing of DS can help each other out. I have met some amazing people I never would have had the great fortune to meet. Luke has the ability to light up any room despite the darkness in society at times. This is so sorely needed. We were (are still to some extent) Google crazy after the diagnosis. We have one of our routine appointments with our developmental pediatrician at the Down syndrome clinic at the University of Virginia (Kluge Children’s Rehabilitation Center) and I will be sharing this with the doc & staff & all the other parents in the waiting room! Please continue with your valuable information in the New Parents’ Guide. We need 6-12 posts!!! Thanks for what you are doing. This is a great resource for new dads and expecting dads that are having a child with downs. Great job on this, you should be proud to know that you are helping out a lot of parents! I have a 3 week old lil man who has down syndrome. I am still in the overwhelming research stage and I have found a lot of helpful information on your site. Thank you! However, I am curious about the parts of your new parents resource guide that do not open. Several of these are the ones I wanted to read the most! Is there someplace I can get to those parts? (Items 8, 11, 12….) I’d really appreciate it! Thanks! Hi! My daughter was just diagnosed with Down syndrome last night, she turns 3 months in 2 days! Her father and I were completely blindsided by this, however it does not change how we feel about our little girl! I’m really looking forward to reading every thing on your site! I feel like I’ve been tossed in the ocean and told to swim to shore but I have no idea what direction to go. 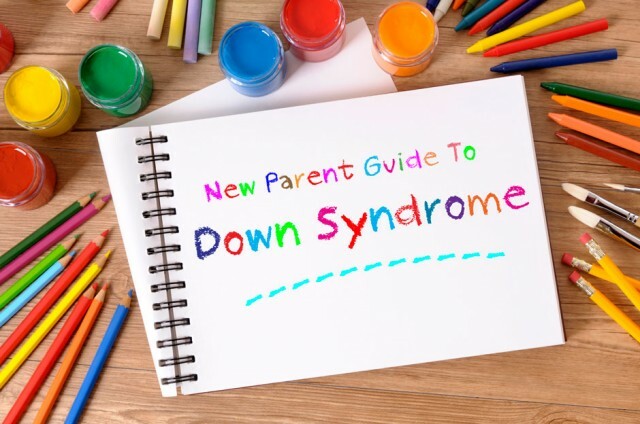 How do we get a copy of New Parent Guide to Down Syndrome? Thank you so much for this!! Your entire blog has been a lifesaver!!! I’m reading this a few years after it was first published, but it looks like some if he links were removed. Are the posts gone or is it just that the links are gone? Thanks! Just a quick question. I can seam to get the guide work, what I mean is that I can press and read all the points from 1-6 but not 7-12 🙁 How can I read your full guide? Thank you for your lovely and helpful blog!! !